May 15 is Chocolate Chip Day, a day to celebrate the tiny morsels of chocolate that make any dessert even better. In the United States, the unofficial holiday is also known as National Chocolate Chip Day. Also sometimes called chocolate morsels, rumor has it that chocolate chips were invented by Ruth Wakefield at the Toll House Inn in Whitman, Massachusetts. According to the legend, the creation of the chips was an accident – out of chocolate powder while making cookies for guests, Ruth chopped up some chocolate and added it to the cookie dough. She found that the chocolate did not melt as she had expected, and the chocolate chip and the chocolate chip cookie was born. 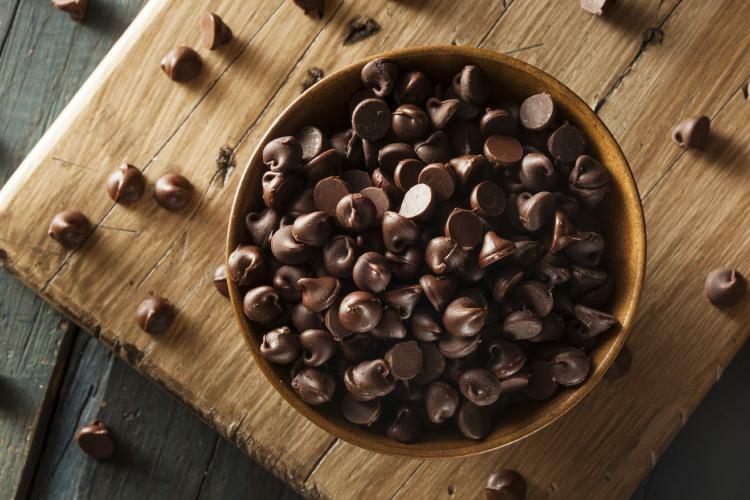 Today, chocolate chips are a popular ingredient in a baker’s pantry and they are used extensively in cookies, cakes, ice creams and a variety of other desserts. Add chocolate chips to all your meals of the day. Start your day by making chocolate chip pancakes or adding chocolate chips to your cereal. For your midday snack, whip up a batch of chocolate chip cookies or chocolate chip muffins. Throw some chocolate chips in your lunch yogurt and end the day with some delicious chocolate chip ice cream. …that chocolate was once used as currency by the Aztecs? An avocado in this system was worth 3 cacao beans.